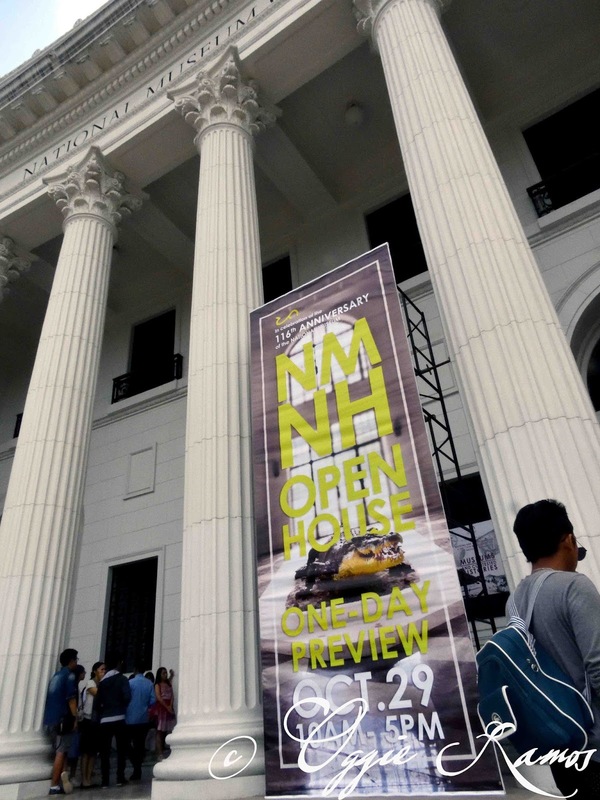 It's rare that I see a crowd milling outside the National Museum but on the occasion of its 116th anniversary, it was good to see people lining up to see what's new in the renovated Museum of Natural History (formerly the building of the Department of Tourism) located adjacent to Rizal Park. Outside, I witnessed some drama while sitting on the stair steps; a young mom excited to take camera phone pictures of herself and her young son, about 8 or 9, at the facade and eager to get their turn to enter the museum. The boy obviously was only cajoled (bribed?) to keep her company as I overheard the mom telling her son, "Mag-effort ka naman maging excited... walang ka-excite-excitement ang batang 'to!" (Son, could you make an effort to be more excited... it seems you're not at all excited my boy). Could it be that the boy just wanted to a) play video games at home; b) watch a movie instead; c) monitor his FB feed; d) all of the above? It was commendable for his mom to find him other diversions other than social media and malling. Makes one think what's a museum got to do to reach the younger generation with a natural inclination to technology, not history (well maybe because it's history, literally). Anyway, it was a good time for me and my travel-blogger friends to revisit the National Museum after a long, long time away. Curiously, we got the news of the Museum of Natural History reopening from Facebook. For its 116th year, the museum was having an open house to give the public a peek at things to come. After being closed for much needed renovations for several months, the Museum of Natural History has reopened with aplomb. Visitors that day are taken to a guided tour of some of the second level attractions. 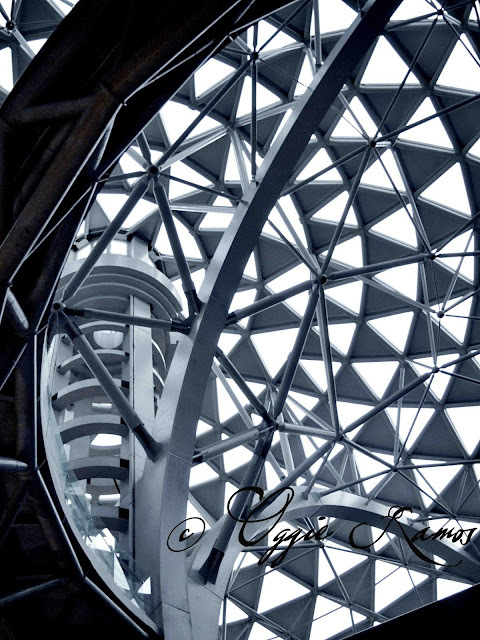 The most circulated image of the event is the Tree of Life centerpiece architecture right in the middle of the museum, a spiral/helix structure rising from the floor to the skylight dome. The design takes its cues from the Filipino DNA. Curiously, this is sponsored by Pilipinas Shell (I remembered their advert for Helix engine oil some years back and see some sort of connection here). Well, the rest of the display halls have also found corporate sponsors which is justified as rebuilding and maintaining the museum requires a lot of funding as well as philanthropy contributions. From the Tree of Life, the crowd is ushered to an adjoining hall for a wide screen viewing of a Philippine natural treasures video. The hall is well lit, the walls painted off-white, the air conditioning reassuringly cool even on a humid afternoon. Another well-circulated image for the anniversary celebration is the recreation of the crocodile, Lolong's likeness on display in another adjoining hall. Lolong was an Indo-Pacific saltwater crocodile that put Agusan del Sur on news headlines around the world in 2011, one of the largest crocodiles captured and measured at 20 feet and 3 inches. 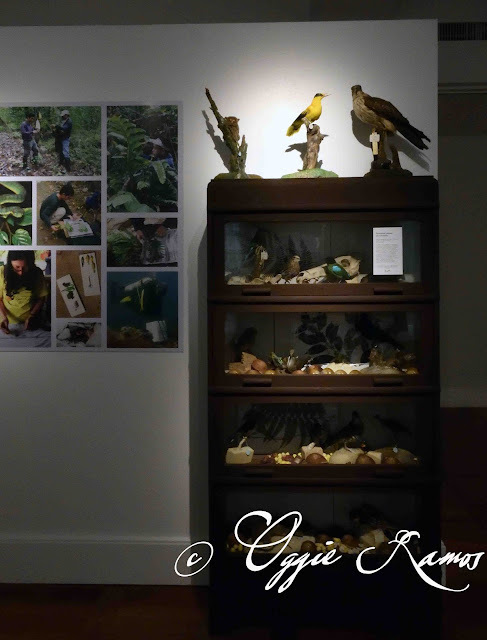 Our final stop was the Ayala-sponsored Father Blanco Hall, a spacious and well-laid out space celebrating the first Filipino naturalists as well as the evolution of the local naturalist movement. There were stuffed deer and other animals in glass enclosures; books and other stuff on display; an optical illusion recreation of an old apothecary at the far end; and a table where curious amateur naturalists of any age can trace the intricate patterns of pakpak-lawin (Asplenium nidus) fern fronds on plain paper using crayons. One may wonder what's the significance of such an undertaking in these present times. Well, for one, a country with such astounding biodiversity as the Philippines definitely need a venue where records can be kept and preserved specimens displayed for the appreciation of all, including the younger generation (For how can we be not inspired in helping keep our natural treasures intact if we're not reminded of how rich our trove is?). Food for thought for young and old naturalists: according to the World Wildlife Fund, of the 580 recorded birds, over 35 percent are endemic to the Philippines. 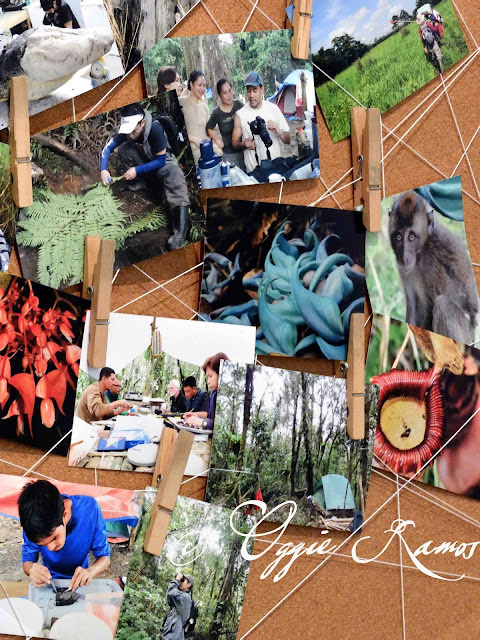 Of over 167 different species of mammals and 65 percent of more than 10,000 plant species, are endemic to the country. In the scheme of things, it bears mentioning that the science library of the museum's botanical division once held the acclaim of being larger than those of the leading universities and scientific institutions in the United States of America during the early 1900s. The Herbarium also used to be the largest in all of Southeast Asia though it was reduced to ashes during WWII. Our tour was over just when we were just warming up as the rest of the museum is a work in progress. I chitchatted with our assigned tour guide, the twenty-something Shara, on an assortment of things. Like guests who are more concerned about their selfies on the premises than what the museum has on offer. Or guests who just have to touch display pieces even if there are "Do Not Touch" signs everywhere. 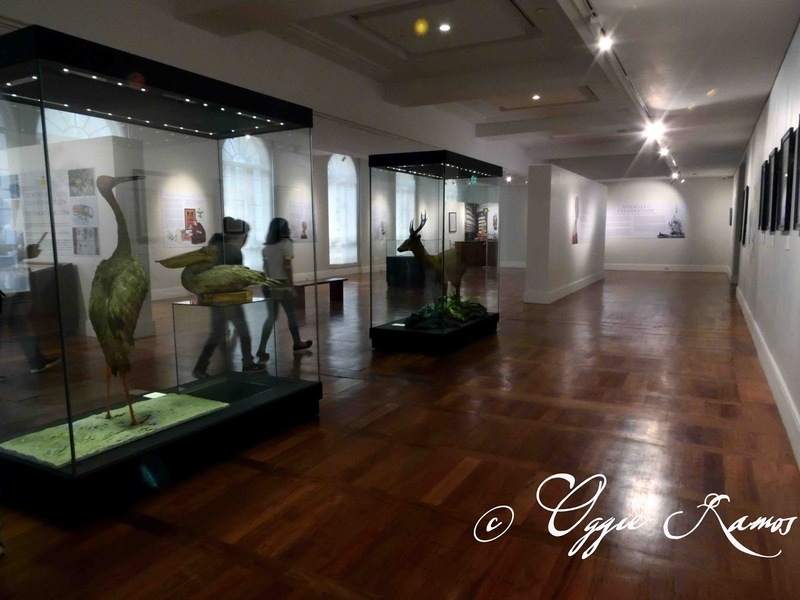 She has kind words for President Digong Duterte, noting that ever since he assumed office, the free entrance to the museums have been expanded from Tuesdays to Fridays. Shara, whose original assignment is as tour guide for the Museum of Fine Arts next door, laments that quite a lot of visitors do not really grasp the importance of the museum, its contents and what they signify. I told her that maybe, just maybe, the important thing right now is to get them first into the museum even if their real objective is that brag-selfie, plant some seeds of curiosity now, hoping some may germinate into real interest later. 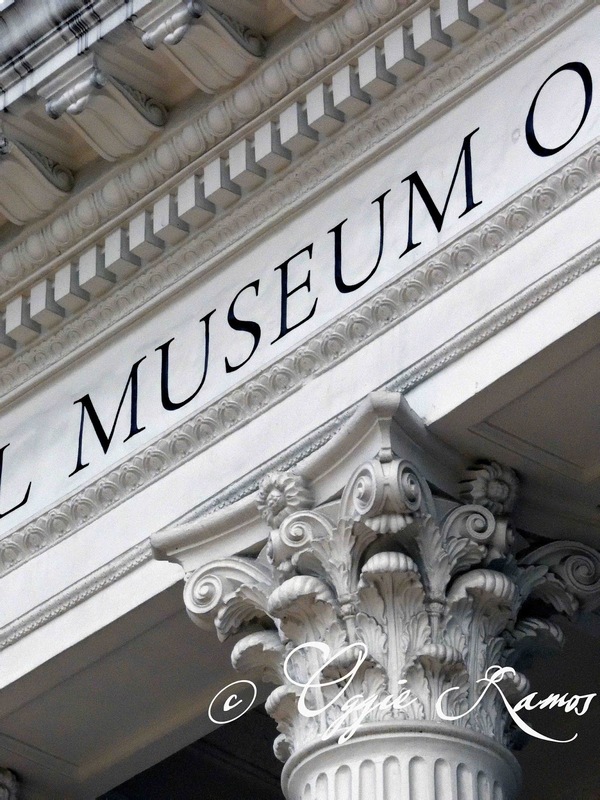 MUSEUM INFORMATION: The National Museum of the Philippines is located along P. Burgos Drive, Rizal Park, Manila. It is readily accessible via the Light Rail Transit, the nearest stop being the United Nations Avenue (UN Avenue) station. This November, the museum facilities will be open except on Nov. 1; the facilities will continue to be open even during the ASEAN Summit holidays from Nov. 14-17 and Nov. 30 (Bonifacio Day). • Visit their website by clicking this link or their FB page. at 10:16 PM Labels: "National Museum" "Museum of Natural History" "Philippines" "Philippines National Museum" "Lagalog" "Oggie Ramos" "Nikon" "Manila" "Manila Attractions"